The international conference “China and Eurasia: Towards a New Quality of Cooperation and Development” was held in Shanghai, Uzbek media reported. The event was organized by the Shanghai Academy of Social Sciences. Various aspects of Eurasian cooperation and future prospects were discussed at the event. 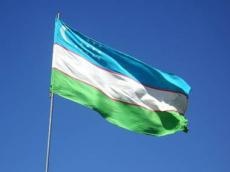 The Uzbek side was represented by Deputy Director of the Institute for Strategic and Regional Studies under the President of Uzbekistan Shafoat Nurullayeva. During the event, an exchange of views of experts and scholars took place, and constructive proposals were made to strengthen cooperation between China and the countries of the Eurasian space. Chinese experts noted the increased openness in relations among the Central Asian countries in recent years. In their opinion, this also contributes to the strengthening of interaction among the member states of the Shanghai Cooperation Organization (SCO) in the field of trade and other areas. Speaking about the role of Uzbekistan in these processes, they stressed that the country began to play a special role in the process of improving regional cooperation in Central Asia, which remains an important space for strengthening relations among the SCO member countries. During the conference, experts also highlighted the new situation in the Central Asian region, as well as the measures taken by the countries to create favorable conditions for trade and investment cooperation with China. They said that liberalization of economic relations is taking place in the countries of the region, especially in Uzbekistan, and this is especially noticeable in the last two years. Experts assessed this as a quite positive trend that may have a positive effect on the development of the economies of the countries of the region in the future.